Courts don’t compile statistics on drink-driving sought by TD – Fitzgerald. Financial cost arising from the necessity to engage external support providers. Transport Minister Shane Ross has said that drivers under 44 accounted for 70% of intoxicated drivers in 2015. More than 80% of them were male, he said. But when the Court service was asked about the number of drink driving offences listed in each court area, it couldn’t come up with the information. 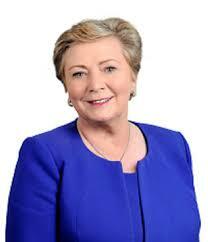 That’s according to Minister for Justice Frances Fitzgerald. In a parliamentary question, a TD asked her about the number of driving offences listed in the courts in 2015, 2016 and 2017. Deputy Thomas Broughan also sought details of the number of offences that were “not finalised,” were adjourned, appealed, set aside or the subject of bench warrants. Ross doesn’t appear to have identified the source for claims that in 2015 70% of intoxicated drivers were under 44. Nonetheless, he has gone on to argue that his proposals for an automatic driving ban on first-time offenders will prevent thirty-five deaths on the roads. Under current measures, driving bans are only imposed for first offences above the 80mg per 100ml level. 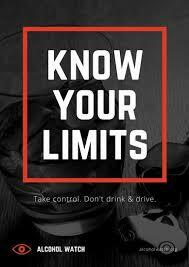 Where blood alcohol levels are below 50mg, a driver faces three penalty points and a fine of €250. Deputy Michael Healy-Rae said drink driving statistics are “shoved down our throats.” Instead of concentrating on drink-driving, other causes of road accidents should be looked at.” In Kerry many road deaths were not in a car, he said. Roscommon TD, Michael Fitzmaurice said, “Even if the drink-driving levels were set at zero, it is the lack of Gardai out on the beat and on the roads that are the problem. “Another major cause of serious accidents, especially in rural areas are defective roads but,” he said, “we have heard no announcements of funding to carry our repairs on these dangerous roads.